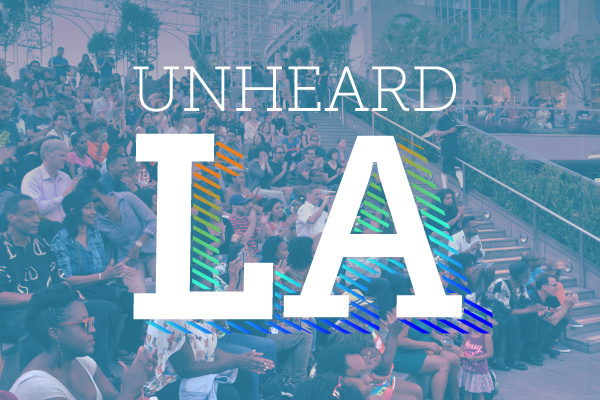 I will be doing a story at Unheard LA which is is part of KPCC InPerson series on May 13 at 5:30 in Hollywood. I’ll be talking about my family’s “camp” story. My friend Kristina Wong will also be doing a story! I believe tickets are FREE but you should probably RSVP. The Assistance League of Los Angeles Playhouse is tucked away in a nondescript building on a nondescript corner in Hollywood. Inside is an historic theater that will house KPCC In Person’s third “Unheard LA,” an electric show featuring the Young Storytellers and community storytellers from across Southern California. Lose yourself in personal pieces, which range from a 14-year-old’s unyielding stance on screen time to a desperate search for Zumba in K-Town and the day TSA changed one person’s understanding of identity. Join us as actor, director and writer Bruce A. Lemon Jr. hosts the show. Then stick around afterward for a mixer with the performers and fellow attendees. As part of this series, we’ll be hearing true stories from people of different walks of life and diverse experiences. While all of our programming is intended to be inclusive and for a broad audience, it’s possible certain themes or language may not be deemed appropriate for all ages. If this were a movie, we’d probably rate it PG. If you’d like more information or have any questions, please don’t hesitate to reach out to us directly at events@kpcc.org. Thanks! So my foot pain is a really bad foot infection. Crazy.